Savinelli Creativity | Old Morris Tobacconist Victoria BC, Fine Cigars, Humidores and Tobacco Merchantile. Savinelli pipes are among the best-selling in the world, and boast an unbeatable quality and consistency of smoke. All Savinelli pipes are made in Italy, and use a balsa filter system that absorbs moisture and reduces harshness while smoking. 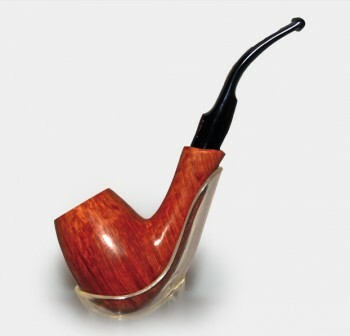 Creativity is a free-hand pipe designed personally by Giancarlo Savinelli. Top quality raw material, artistry and craftsmanship together create a unique and exceptional pipe; a creation in which the heart of the briar permeates the precise and creative manufacturing processes of Savinelli’s master craftsmen. Extremely “Limited Edition.” Made in Italy.